I was born on January 9th. Not the best time to be born if your birthplace happens to be the buckle on the snow belt, Buffalo, New York. Buffalo remained my home until I struck out on my own and managed to get 73 miles down the New York State Freeway to Rochester. My life took a turn for the better- better climate, better opportunities. Writers of a certain vintage always seem to boast of the variety of interesting jobs they held before settling down to write. Jobs like fire breather on the Reforma in Mexico City, or turkey plucker. I have not done anything so exotic. Moving from present to past, I have been: a divorce lawyer, student, waitress, nurses’ aide, hospital admitting clerk, factory assembly line worker and child. I live in Vancouver, B.C. and in Colima, Mexico. I have one husband, one daughter, three step-children, a German Shepherd, tropical fish and many over sexed parakeets. When in Mexico, I nurture my husband, and my vanilla vines. When in Vancouver I try to keep dry. 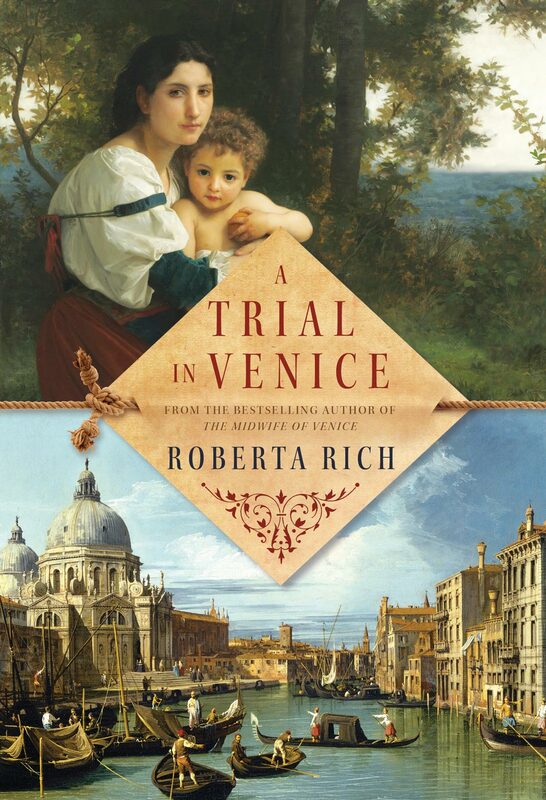 Former lawyer Roberta Rich burst onto the book scene with her popular historical novel The Midwife of Venice. And she hasn’t kept her fans waiting — she has returned with a sequal, The Harem Midwife (Doubleday Canada) which picks up the story of Hannah Levi, who finds herself serving as midwife to the 1000-strong harem of Sultan Murat III. In her answers to the Proust Questionnaire, Roberta tells Open Book about a fabulous pen collection, what you ought to be able to trust your girlfriends with and the best kind of margarita. The Proust Questionnaire was not invented by Marcel Proust, but it was a much loved game by the French author and many of his contemporaries. The idea behind the questionnaire is that the answers are supposed to reveal the respondent’s “true” nature. Having people sufficiently interested in me to send me a Proust interview to complete. Being stuck in an airport with nothing to read. Trustworthiness. You should be able to trust your girl friends with your wallet or your husband. Their bad judgment in partners. Total lack of a sense of direction, navigationally speaking. In others — humor and wit. In myself, huge tolerance for eccentricity. Bill Bryson, Carl Hiaasen, Jeanette Walls, Andrew Miller, Richard Ford. Anne of Green Gables, Jeanette Walls. Margarita made with limes from my own tree. Suddenly and painlessly in the arms of my husband. Floundering for answers to these questions.